An everyday life's Odyssey » Queuing umbrellas. Queuing umbrellas. 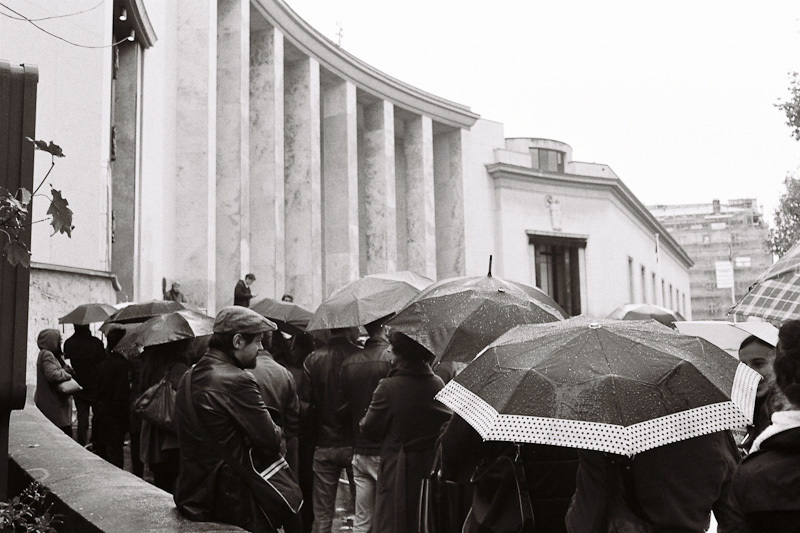 Waiting to get in the museum of Modern Art for Larry Clark‘s controversial exhibit, in Paris. I had my dad’s old Pentax out for the day. I took many pics of this queue, running around it or standing on the wall next to it without anything really successful pic. Eventually, few meters before the entrance, I got this one. And still a smile on the face of one lady – which is, for me, the focus of my eyes.